We endeavour to get the product right first time, every time! Using our 20 years experience and expertise, we aim to offer a detailed assessment on all Bespoke products we supply. At Lifestyle Mobility we take pride in our attention to detail and continually up-dated product knowledge. 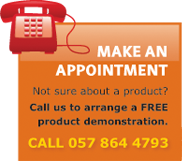 Our show room is one the biggest in Ireland, centrally located. Assessments are carried out by our product specialists in our fully equipped accessible show room, or in the comfort of your own home. After Sales Service Lifestyle Mobility provide an excellent after sales service to both private and public customers. We have fully trained service technicians working to provide you with an excellent service. We carry a wide range of accessories and spares. We can do home call outs too. If you require a HSE three quote, just contact us with the details. Delivery We can deliver anywhere in Ireland, Nortern Ireland or in the U.K.
Customising We also have a service where we can tailor a product to the specific needs of our clients. A member of staff is always on hand to answer any questions that you may have. 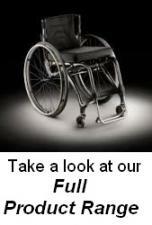 If you have a mobility needing service and repair, contact us on 057 8644793 or 086 3846633.